Are you planning to apply for an overseas job with CDK International Manpower Services Corporation? Here is their current POEA accreditation status, and latest job openings. CDK stands for the company founder’s three children – Chez, Daryl, and Kaye, has been in the manpower recruitment industry for 15 years. The agency was established on June 1990 by its founder and chairwoman, Cristeta A. Morales. Since then, the agency has been providing quality international recruitment services to its clients worldwide. CDK International Manpower Services Corp. also aims to provide Filipinos with rewarding careers and a secured future by giving them opportunities to be employed overseas. CDK has received numerous awards from award giving bodies related to overseas employment. On January 2015, they announced on their facebook page that they are one of the top recruitment agencies locally. 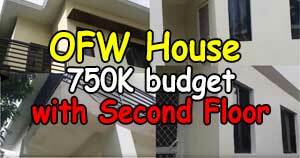 They are ranked second out of the 2,225 manpower agencies in the Philippines. 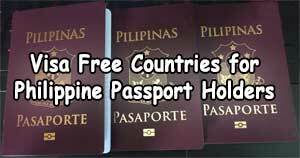 The agency has three branches that is located in Manila (head office), Cebu, and in Davao. 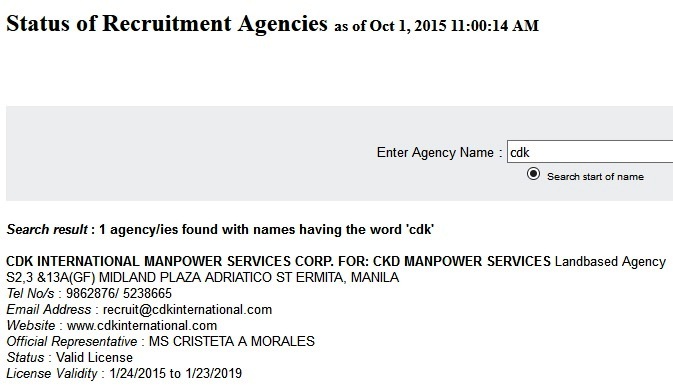 Based on POEA website, CDK International Manpower Services Corp. is a landbased manpower agency located at S2, 3 and13A (GF) MIDLAND PLAZA ADRIATICO ST ERMITA, MANILA. Their POEA license number is 187-LB-111214-R. 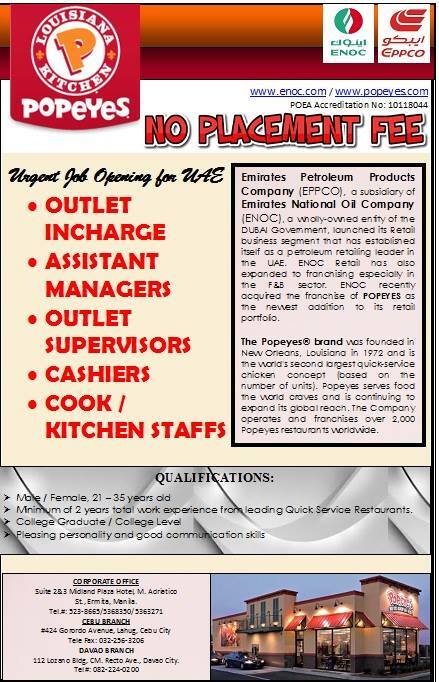 They have a valid license with validity from January 24,2015 until January 23,2019. The agency’s official representative is Ms. Cristeta Morales, and their official website is www.cdkinternational.com. 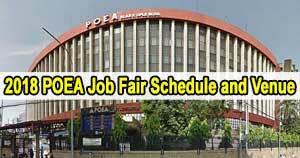 The list of vacancies with approved job orders are based on POEA website. It is advisable to verify with CDK if the listed vacancies are still active or not. Job Openings in Dubai U.A.E. This blog is not in any way related to the featured manpower agency. For your own safety do not place on the comment section your name, address, and mobile phone numbers. Only inquire directly to the agency regarding your job applications and other concerns. Hi Jane, please inquire directly to the agency. Their number is on the post. Hi Bea, you can inquire directly to them. Their details is included in the post. Good luck!